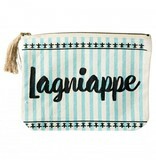 This zippered pouch features the word “Lagniappe” in black on top of blue stripes, along with two rows of fleur de lis. 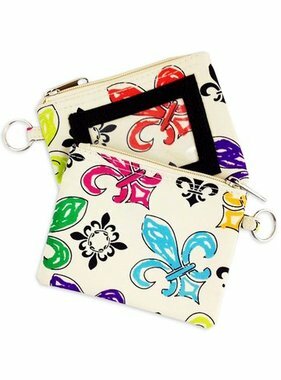 The term is popular in New Orleans and translates to “a little something extra”. 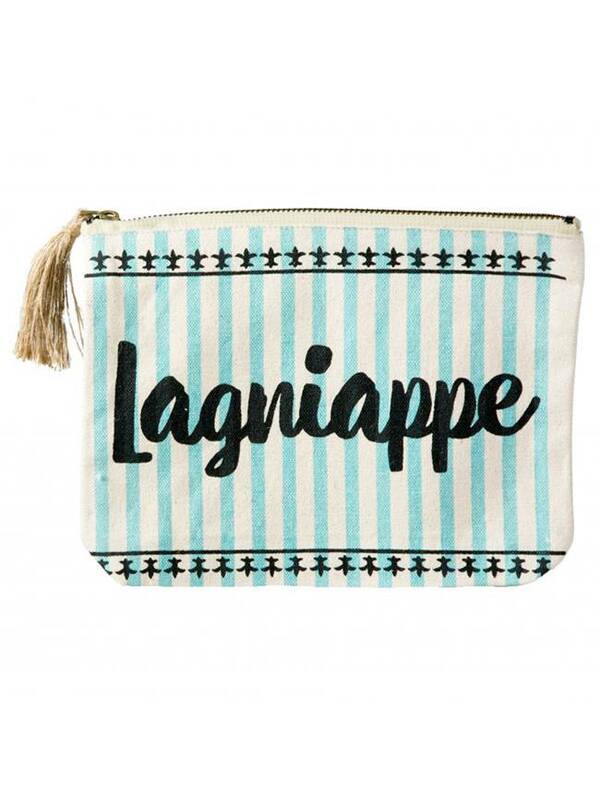 The zipper features a cute brown tassel. 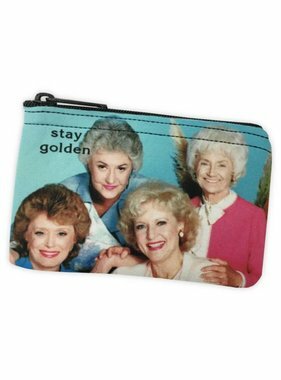 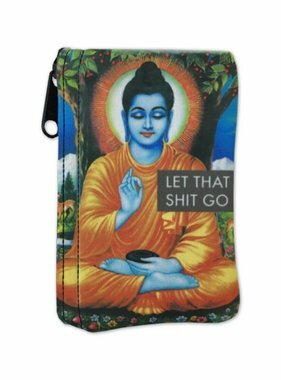 Measures 9″ wide, 7″ tall with a 1.5″ gusset at the bottom.